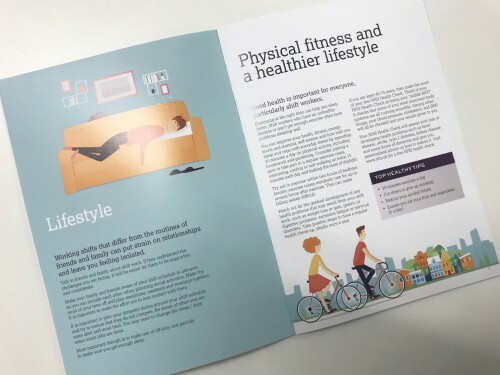 Heathrow Express take the wellbeing of their colleagues very seriously and understand that maintaining a good level of physical and mental fitness helps us all to manage our work and our health. 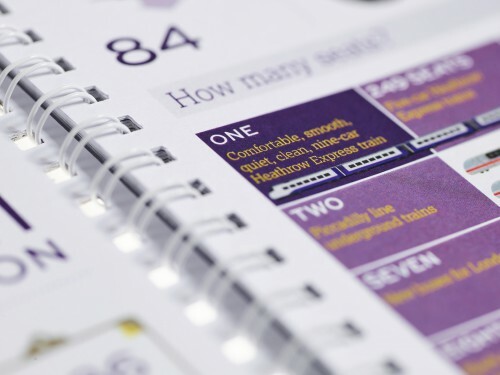 The design of this booklet needed to be highly engaging so that Heathrow Express colleagues pick it up and realise how important and helpful the information is. We applied illustrations throughout to aid in the understanding and to help make the content more relatable. Due to our extensive experience of creating engaging induction materials for our existing clients, we were approached by Heathrow Express, the fastest connection between Central London and the airport, to design an induction experience for their new starters including a timeline of the company’s history, roles, their relationship with Heathrow, an interactive sticker activity, familiarisation information and H&S. As well as a spiral bound booklet, Creative Triangle produced complementing 3D training activities and large scale graphics for the interiors of the training rooms and corridors. All helping to promote Heathrow Express’ company mission and goals from the offset of an employee’s career with them.